Item # 318673 Stash Points: 11,995 (?) This is the number of points you get in The Zumiez Stash for purchasing this item. Stash points are redeemable for exclusive rewards only available to Zumiez Stash members. To redeem your points check out the rewards catalog on thestash.zumiez.com. 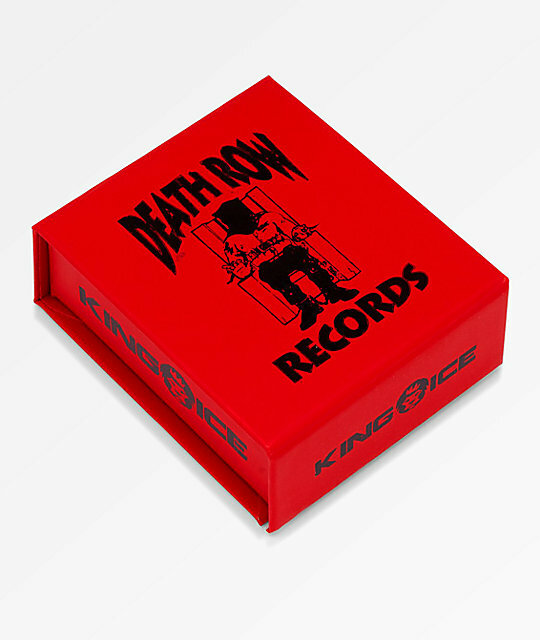 King Ice proudly presents a collection of collaborative designs with the iconic Death Row Record label, and the Death Row Records Iced Pendant Necklace is part of the collection. 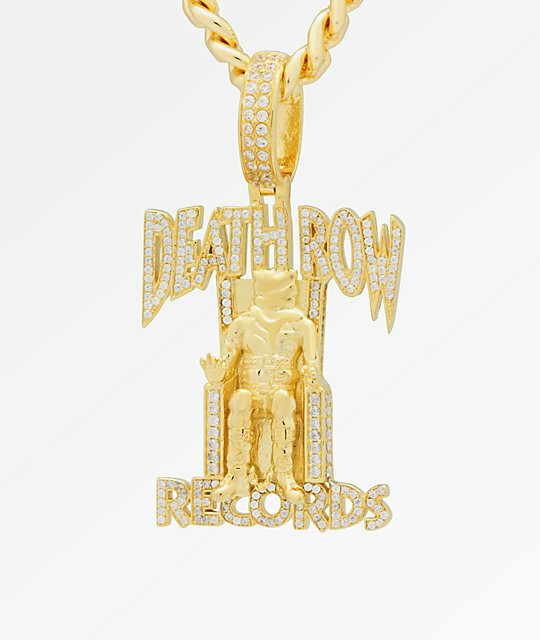 This unique pendant resembles the record label's unmistakable logo, and features hand-set, grade AAA CZ stones, and a sturdy brass construction with 14K gold plating for a legendary look. 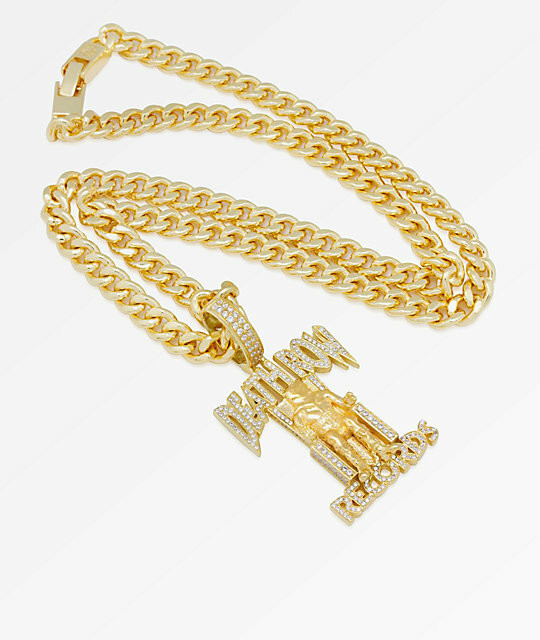 Paired with a 24 inch stainless steel Miami Cuban Curb chain, this piece is fit for a king, and pays homage to the label that signed hip hop legends that we all know and love. 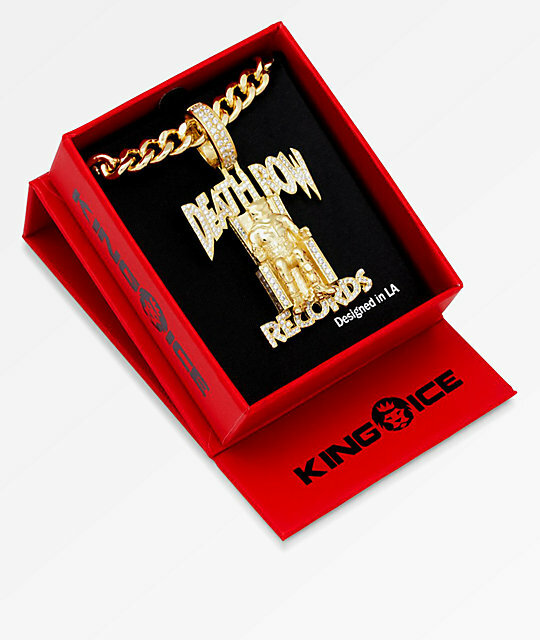 Death Row Records Iced Pendant Necklace by King Ice x Death Row Records.